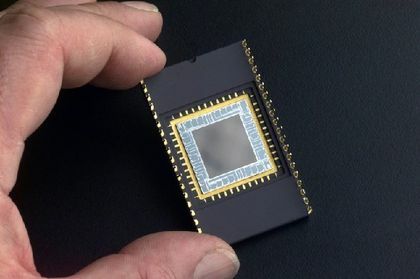 A digital camera records images using a photosensitive cell called a charge-couple device (CCD). A CCD is a thin layer of silicon divided into a multitude of small squares known as “picture elements”, usually referred to in the shortened form of “pixels”. Each pixel is separated from the next by thin insulators. To take a photo, the CCD is exposed to light: the same principle as taking a photo using a photographic film or plate. When light strikes a pixel, however, the silicon produces an electric charge, and the greater the amount of light, the greater the charge. When the exposure is finished, the camera’s microprocessor reads the charge on the pixels, row by row, and transforms the information into a digital image. Astronomers are interested in CCD cameras for their excellent sensitivity. For example, a CCD will detect up to 80 photons (light particles) out of every 100, whereas a photographic plate or the human eye will detect only one. Exposing a CCD for two minutes can therefore reveal more details than is possible during a one-hour exposure using a conventional photographic plate. Other than photography, CCDs are used in photocopiers, facsimile (fax) machines, scanners and barcode readers. 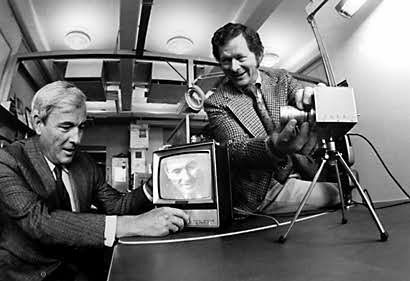 In 1969, two researchers at Bell Laboratories – the Americans Willard Boyle and George Smith – designed the basic structure of a CCD and defined its operating principles. Several months later, they developed the first video camera to function with a CCD. In 1973, the American company Fairchild Imaging developed their first commercial CCD. 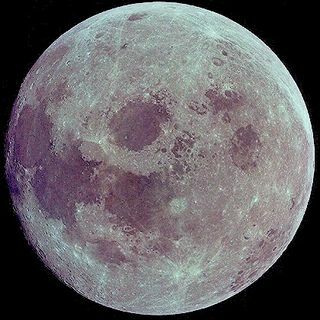 Consisting of 100 x 100 pixels, it was used in 1974 to produce the first astronomical photo ever taken by a digital camera. It consisted of an image of the Moon captured using a 20-centimetre telescope. In 1976, Fairchild Imaging sold the first commercial CCD camera: the Fairchild MV-101. 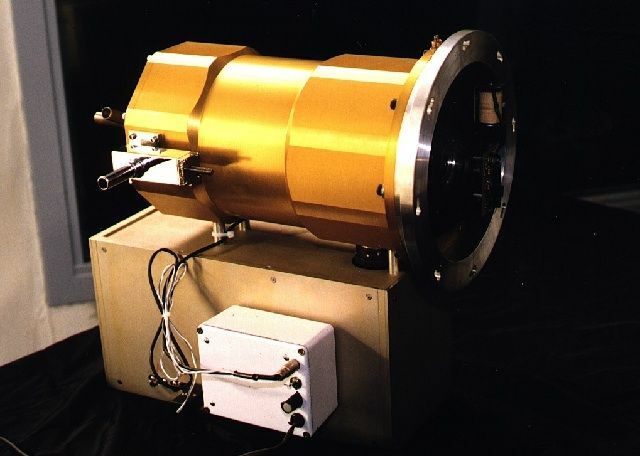 In 1979, CCD cameras made their way into professional astronomy. The Kitt Peak National Observatory (USA) mounted a 320 x 512 pixel digital camera on their 1-metre telescope and quickly demonstrated the superiority of CCDs over photographic plates. In 1983, the use of CCD cameras became much more widespread among professional observatories. For the first time ever, it was possible to study celestial objects thousands of time paler than anything recorded on even the most sensitive photographic plates, putting a whole new face on the Universe. Today, digital cameras are an integral part of the standard equipment in a professional observatory. The largest, MegaCam (mounted on the 3.6-m Canada-France-Hawaii Telescope in 2006) uses a mosaic of 40 CCDs for a total of 340 million pixels.